When traditional media outlets downsize, foreign correspondents are among the first casualties. But two new programs give hope that world news won’t die out altogether. One of the ingrained beliefs about the current crisis in newsgathering is that foreign reporting is disappearing, and to a considerable extent that is true. Newspapers and news magazines that were pillars of coverage have drastically reduced their cadre of correspondents abroad. The Tribune Company newspapers—the Los Angeles Times, Chicago Tribune, Baltimore Sun, and (until last year) Newsday—all had reporters in China. Now there is one left, from the Los Angeles Times. The other bureaus are closed. If you’ve read this far, you probably know the litany of losses. If you spend, say, an hour a day with Worldfocus and GlobalPost, you’ll be well versed in the whys and wherefores of what’s happening in the world. It’s all there. That is why it is so important to recognize and congratulate two new entrepreneurial ventures that are bringing excellent journalism to Americans (and anyone, anywhere with a computer) from all over the world. One is Worldfocus, a nightly half-hour show produced at WNET, the New York PBS station, and now available to 81 percent of the national television audience, including the country’s top thirty markets. The other is GlobalPost, a Boston-based for-profit enterprise that is anchored on the Internet and delivering extensive reporting from scores of correspondents, including some top-flight veterans. Both operations are traditional in tone and style, meaning that they provide crafted stories in video and prose, with less of the deliberately edgy characteristics of other journalism typically found on the Web, where the premium usually is on eliciting reactions from the audience. If you are watching Worldfocus or reading GlobalPost, it is because you want to know what is happening in Somalia, Latvia, and Ukraine, as well as front-line datelines in Afghanistan, Pakistan, and Iraq. In the past, readers and viewers relied on news organizations—dailies, weeklies, and newscasts—to sift and provide a basic report that was, for most people, enough. The fundamental shift over the past decade or so, accelerated by the systematic downsizing in so many places, has been to make consumers much more responsible for shaping their own menu. If you spend, say, an hour a day with Worldfocus and GlobalPost, you’ll be well versed in the whys and wherefores of what’s happening in the world. It’s all there. Worldfocus went on the air in October, as an alternative to the BBC’s nightly news syndicated to PBS stations (the BBC has its own news channel and is still available on many public television stations). Hosted by Martin Savidge, formerly of CNN and NBC, and backed by experienced broadcasters, the core of the show is reports from “affiliates” such as Britain’s ITN, Germany’s Deutsche Welle, Al Jazeera English, and Australia TV, as well as telephone interviews with correspondents from the New York Times, the Christian Science Monitor, and GlobalPost, plus studio interviews with experts. The rundown on a recent night featured several longer reports, including one from “special correspondent” Peter Eisner in Cuba and short film pieces with voiceovers by Savidge. Initial funding came from WNET’s operating budget rather than through outside support, although for the show to continue, those resources will have to be found. The Peter G. Peterson Foundation has provided $1 million for one year and some private WNET stalwarts have stepped up. But Worldfocus is nowhere near a sure thing financially as yet. This is not an effort to reinvent television news, although there is a good Web site where you can see archived pieces and get background. What you get with Worldfocus is a classic and classy half-hour of foreign news. This is a test of whether public television can support a show like this as it does its nonpareil documentary series, Frontline. It will take relentless fundraising on the part of programmers and an audience big enough to justify that effort. Worldfocus’s greatest risk is that in not offering a breakthrough, when the premium these days is on devising new formulas as the way to survive. Worldfocus and GlobalPost certainly defy the odds, which seems to be against this kind of time-honored stuff in an era when whiz-bang is hot. But that may be the point. All over television and the Internet these days, you are entertained, provoked, and harangued, which means that counter-programming just may be that much more viable. 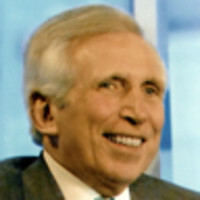 Peter Osnos is a senior fellow for media at The Century Foundation. Osnos is the founder and editor-at-large of PublicAffairs Books. He is vice-chairman of the Columbia Journalism Review, a former publisher at Random House Inc. and was a correspondent and editor at The Washington Post.